The winter edition of Aperture magazine is a landmark issue dedicated to the representation of transgender lives, communities, and histories in photography. Guest edited by Zackary Drucker, the artist, activist, and producer of the acclaimed television series Transparent, “Future Gender” considers how trans and gender-nonconforming individuals have used photography to imagine new expressions of social and personal identity, from the 19th century to today. Use #FutureGender to join the conversation on Twitter, Instagram, and Facebook. 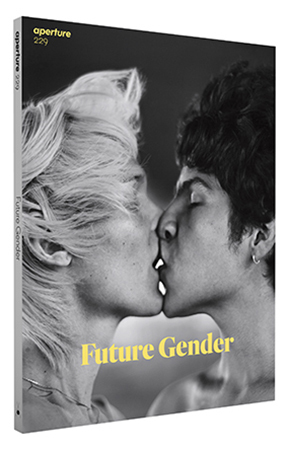 Subscribe now to receive “Future Gender” and more great issues.